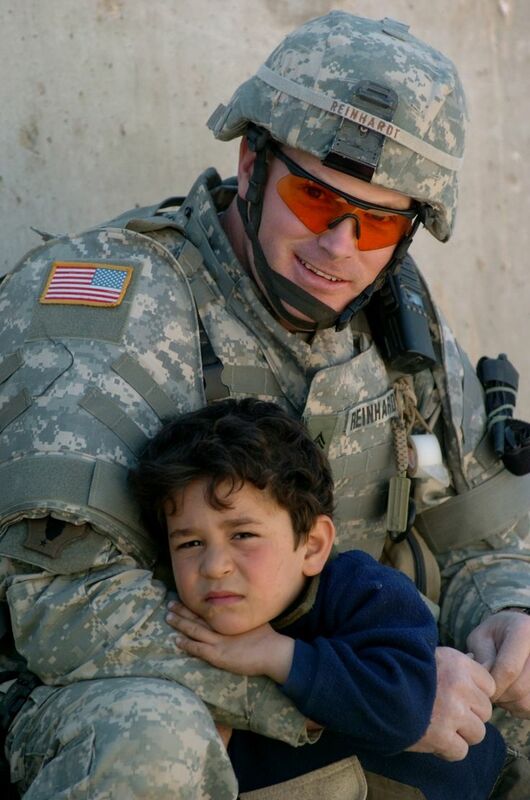 An Iraqi boy rests on the arm of U.S. Army Cpl. James Reinhard outside an Iraqi police department in Baghdad, Iraq. DoD photo by Petty Officer 1st Class Bart A. Bauer, U.S. Navy. This is the final episode in this series, enjoy! Battleground Afghanistan looks inside the latest chapter of the Afghan conflict as seen by American Marines on the front-lines of the war. As tens of thousands of troops withdraw from Afghanistan, Capt. Ben Middendorf and his men of Golf Company, 2nd Battalion, 5th Marines — based at Camp Pendleton in San Diego — are staying behind to continue the fight. These Marines are taking the fight directly to the Taliban with a mission to locate, disrupt and destroy the enemy.